The foundation of Sandy Camper’s professional passion is to help liberate her clients from limitations through her practice of Chinese medicine in order to live a life of purpose being spiritually connected, emotionally balanced and physically thriving. Since 1995, Sandy has helped patients with a variety of acute and chronic health issues, ranging from sciatica and back pain, to PMS and other gynecological problems including infertility, to digestive issues, anxiety and depression and more. As both a patient and practitioner of Chinese medicine, Sandy has first hand experience of the transformational changes it can bring to a person’s life and well-being. When working as a high school science teacher, Sandy injured her back which resulted in excruciating chronic pain and she decided to try acupuncture in an attempt to avoid taking addictive narcotic pain medication. She was amazed that the pain was completely gone after two treatments. Years later, facing different health issues, she again sought out acupuncture as a possible treatment. Sandy was delighted when the acupuncturist explained that the disparate symptoms, for which she was seeing two different specialists, were connected to the same root imbalance, and while it took longer for these issues to resolve than it took for the back pain to improve, she experienced other improvement in her health–positive side effects! It was during this course of treatment that Sandy decided she had to learn how acupuncture worked and she began to study this ancient practice of Chinese healing. 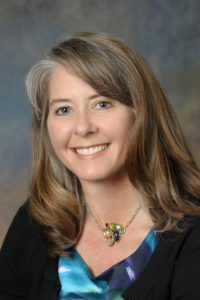 Sandy earned a Bachelor of Science degree in Chemistry from the University of Delaware in 1987 and completed the course work to receive a teaching credential. She taught high school honors chemistry, physics and physical science in the San Francisco bay area. After deciding to pursue the study of acupuncture, Sandy continued her education by earning a Master of Acupuncture degree in 1995 from the Traditional Acupuncutre Institute (now Maryland University of Integrative Health) in Laurel, Maryland. Since then, she has been in private practice. Sandy studied Chinese herbal medicine from 1994 to 1996 with renowned herbalist and author, Ted Kaptchuk, O.M.D., and in 2003, she completed a two-year clinical integration course with prominent scholar and author, Lonny Jarrett, M.Ac., M.S., FNAAOM, whose teachings combine the richness and complexity of ancient traditions with a progressive perspective for the highest context of healing. She continues to study Contemporary Chinese Pulse DIagnosis which is a subtle, yet sophisticated, analytic method used by dedicated practitioners. She served on the faculty of the Traditional Acupuncture Institute as an associate faculty, designing and teaching courses in Chinese medical theory and as a clinical supervisor advising students on the treatment of their patients. With a family member suffering from macular degeneration, Sandy began searching for a treatment rooted in Chinese medicine to help. She discovered an innovative method of acupuncture developed by John Boel Sr. and John Boel Jr., in Denmark (www.acunova.dk) that has helped thousands of people with eye diseases to improve their vision. In pusuit of this specialty, Sandy has also traveled around the U.S. to study with acupuncture vision experts, LizBeth Ryan, Mats Sexton and Jeffrey Yuen. Using TCM (traditional Chinese medicine) and micro acupuncture, these treatment methods address a number of eye diseases, such as age-related macular degeneration, retinitis pigmentosa and diabetic retinopathy. She has also received training from Memorial Sloan Kettering Cancer Center through their course designed for acupuncturists treating people with cancer. Sandy has a special interest in treating those facing a diagnosis of cancer, having gone through that herself, and with several family memebers who have had cancer. Sandy is NCCAOM certified and licensed to practice in the state of New York and in the Commonwealth of Massachusetts. From Bennington, VT, and points north: Take Rt-7 S/Ethan Allen HWY, crossing into Massachusetts. Turn Left onto Whitman St. Take the 1st Right onto Park St. Turn Left onto Main St./Rt-2. Turn Right onto Water Street/Rt-43. 136 Water St. is on the left, just past the Mountain Goat (outdoor clothing store). Take US-7 N/North St. Turn Right onto Green River Rd/Rt-43. Continue to follow Rt-43. 136 Water St. is on the Right (about 4.5 miles). Take Rt. 2E (crossing into Massachusetts). Turn Left onto Cold Spring Rd/US-7/Rt-2. Turn Right onto Main St./US-7 N/Rt-2E. Turn slight Right onto Rt-2/Main St. Turn Right onto Water St/Rt-43. 136 Water St. is on the Left. Take Rt-2/Veterans Memorial Dr. Continue to follow Rt-2. Turn Left onto Water St/Rt. 43. 136 Water St. is on the Left. From Schenectady and points west: take I-890E to I-90E via the left exit towards Albany. Merge onto I-87N via exit 1N toward Albany Int’l airport/Montreal. Take the Rt-5 E/Wolf Rd. exit, Exit 2E, toward Albany. Merge onto Wolf Rd. Turn Left onto Computer Dr. W. 3 Computer Dr. W. is on the Right. Take Rt. 7W, merge onto I-87S via exit on the Left toward Albany. Take Exit 4 toward Rt. 155W/Albany Airport. Turn Left onto Wolf Rd/Rt-155/CR-153. Take the 1st Left onto Albany Shaker Rd/CR-151. Take the 1st Right onto Wolf Rd. Turn Right onto Computer Dr. W. 3 Computer Drive W is on the Right. To speak with Sandy directly, call 518-429-8104 or email her at camper.acupuncture@gmail.com.